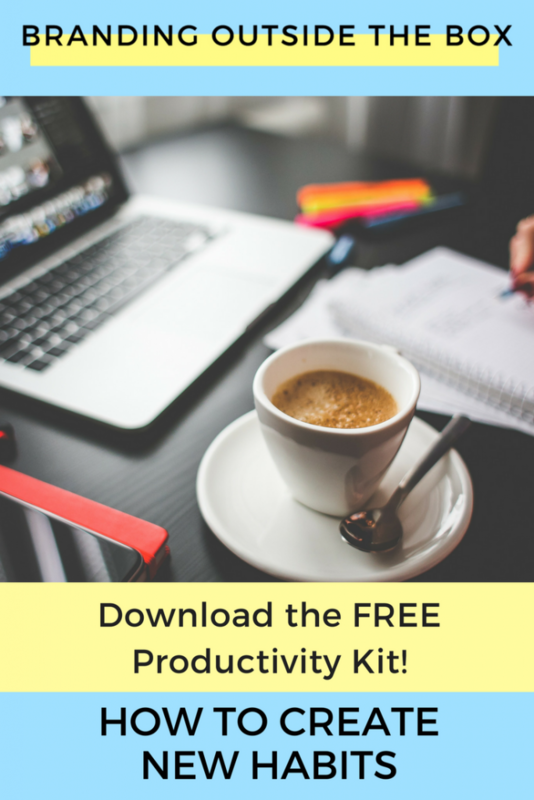 When I coach our clients on ways to increase their productivity, I am often met with resistance. I’m not a tech person, these tools are too overwhelming. Planning and scheduling takes even more time, I’d rather just DO it. There aren’t enough hours in the day with my [day job, side hustle, family, home, etc.] responsibilities. Too often, we feel stuck in our way of doing things, the ways we’ve always done them, that we cannot fathom making the necessary changes to increase our productivity and improve our health and sanity. I’m here to tell you that change is possible. And you can do it by creating new habits. When I suggest tracking your time using tools like Toggl or Harvest, it may seem too distracting or time consuming to consciously hit a timer when you start and stop each task in your day. It’s true, the time tracking tool does disrupt your flow and the way you usually work…but that’s a good thing. If you are task switching so often that it seems like you’re constantly hitting the on/off button on the timer, then that indicates a problem with your work flow. Rather than switching constantly from little task to little task, what if you batched like-tasks together? Rather than starting on a big project, stopping to answer emails, then starting again, you simply focused on completing the project? For me, the time tracking app has played an integral role in changing the way I work. I used to answer emails in order of when they came in, paying no mind to what they were regarding or what research I needed to do to respond effectively. But now that I code my time to each client, I answer emails in batches for each client, going through and answering all Client A related emails in one batch before moving on to Client B. This results in me staying in the “zone” of a particular client, which means working more quickly and efficiently. Not only can I more accurately track how much time I’m spending on each client or project, I managed to reduce the amount of time I spend task-switching. One of the biggest challenges when it comes to productivity is our phones (I touched on this in a previous blog post). We think that the phones cause these disruptions, but in reality, we control our phone usage, not the other way around. By disabling notifications or even putting our phones in another room while we do deep work, we can form new habits that include focus, efficiency, and lack of distraction. By disabling email notifications and closing out of our email tab on our browser, we can avoid getting sucked into our inboxes and wasting time repeatedly browsing our incoming mail. These are things we can control. In this interview with James Clear, he discusses ways we can set ourselves up for success by getting 1% better each day. One of my favorite habits he suggests is “setting the room” for success. When he wanted to eat more fruits and vegetables, instead of hiding them in a drawer in the fridge, he set them out on a bowl on the counter so he had a constant reminder. To avoid getting distracted by Netflix, he put his TV in a cabinet so it wasn’t in his line of sight. By optimizing our surroundings, we can create new habits more easily. For me, I started putting on my workout clothes first thing in the morning to ensure that after I drop my son off at school, I am less likely to plow straight into work once I get back home and more likely to complete my fitness routine first. Rather than putting the book I’m reading in a drawer, I keep it out on the coffee table, and have now increased my (non-work-related) reading each day. 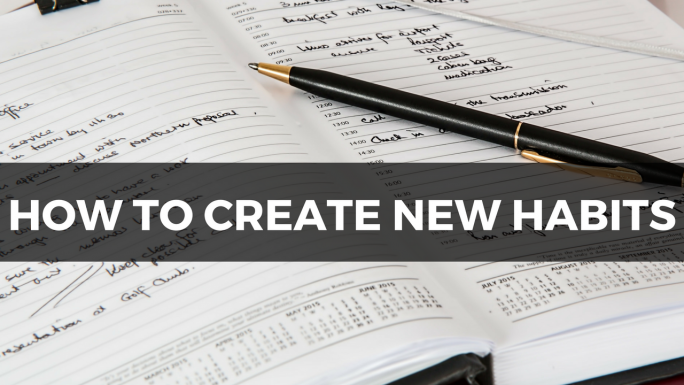 What are some ways you can set yourself up for success in creating new habits? Can you disable notifications or put the phone away altogether? Can you create a work setting that’s free of distractions? Can you put your distractions in a drawer and put the things you really want to accomplish in plain sight? When it comes to increasing productivity and creating new habits, you have more control than you think. Change is possible, but it also requires initial disruption. It may feel more time-consuming, even more frustrating at first, but once you’re in the habit, it will become easier. Soon, you won’t even think about it. And that’s when your productivity, and overall well-being, dramatically improve.